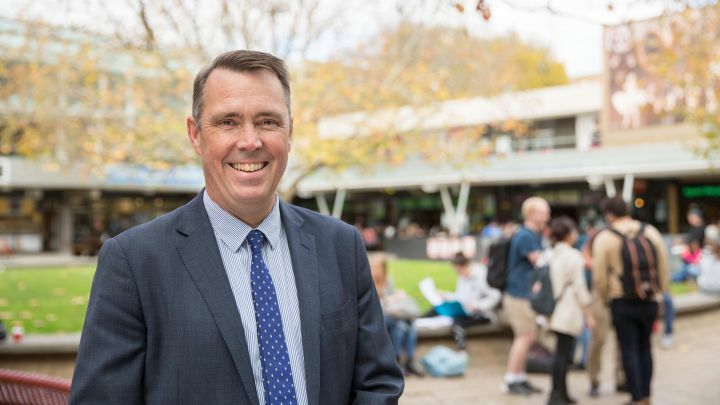 At the beginning of this year I announced that the elimination of violence in our community was one of my key priorities as Vice-Chancellor of La Trobe. Since then, La Trobe has committed to significant programs of work to address the key driver of violence against women and their children, gender inequity, as well as improving the safety of people across our University. Some of these programs include: Workplace Equality and Respect, SAGE Athena SWAN, Project Unified and Respect at La Trobe. I am pleased to announce that La Trobe University is a proud member of this year’s global campaign ‘16 Days of Activism Against Gender Violence’. 2016 marks the 25th anniversary of the campaign which originated from the first Women's Global Leadership Institute. The dates, November 25, International Day Against Violence Against Women and December 10, International Human Rights Day, symbolically link violence against women and human rights. This year’s theme, ‘From Peace in the Home to Peace in the World: Make Education Safe for All’, reflects La Trobe’s own commitment to providing quality education for everyone. We recognise that education is a key enabler to ending violence, as well as a fundamental human right. Globally, the right to education is subject to political, economic, and social shifts and upheavals, consistently leaving women, girls, people with disabilities, LGBTQI people, migrants, and indigenous people particularly vulnerable and liable to being denied this crucial right. La Trobe understands such vulnerabilities and has played a vital role in supporting these key groups through our dedication to inclusive teaching, learning and excellence. Our involvement in the 16 Days of Activism includes the publication of key facts, figures and messages on our website about violence prevention and support. These are designed to advance knowledge in this area and can be accessed by anyone around the world. So, I encourage you to visit our website each day and help eliminate violence in our community. Visit the 16 Days of Activism page.